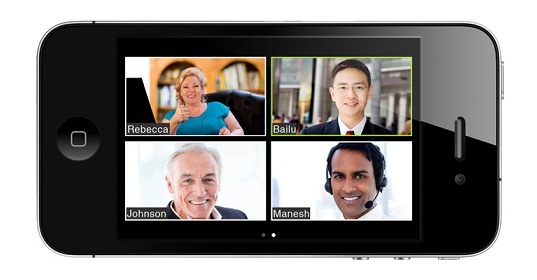 Ancient Wings has partnered with Zoom.us to offer a variety of live, interactive video programs that use state of the art video, low bandwidth usage (ideal for wireless connections and 3G/4G networks) and mobile collaboration into one easy-to-use platform on any device. Our solution offers the best video, audio and screen-sharing experience across Windows, Mac, iOS and Android. ﻿Please read the Ancient Wings mutual consent agreement prior to enrolling. The course is intended for one individual, you may not distribute, record or share any of the information in the course without written permission from Ancient Wings. We have provided additional technical information below, if you have any questions, feel free to contact us anytime. If you want to completely eliminate the common problem of hearing echo in your online video conversations, we highly recommend using a good head set or speakerphone. Echo is created when you turn your computers volume too high. Here is a great article on headset choices. We recommend the Microsoft Life Chat 6000 headset ($40) or for half the price and quality of sound, try the Plantronics Audio 478 or the Apple Ear Buds. Don't like headphones? Speakerphones are a great alternative. We recommend the Jabra Speak 410, it has a built -in, anti-echo device with HD audio for voice and is also great for listening to music. These recommendations are for informational purposes only, we don't don't receive any money from the sale of these products. Your computer lets you have the option of playing back your own microphone’s audio through its speakers. If you have this setting enabled, you will be able to hear your own voice through your speakers even though you are not running any active applications. Try blowing into your microphone with your volume set high. If you hear some garbled audio coming from your speakers, you have microphone playback enabled. On Mac OS X, this is not a default option that comes with the operating system. However, if you’re using Windows, you will have to shut this option down to prevent feedback. On Windows 7 and 8, right-click the speaker icon on the taskbar at the bottom right-hand side of your screen and then click “Sounds.” Select the “Recording” tab and pick your active microphone. Once you’ve selected it, click the “Properties” button found below your list of recording devices. Click the “Listen” tab and then deselect the option labeled “Listen to this device.” Once you’ve configured everything, the webinar should run smoothly. If you want to keep the playback, pay special attention to where your microphone is situated. Keep your microphone as far away from your speakers as possible and make sure it is pointing in the opposite direction. You will also have to keep your playback volume low for microphone playback to work without any acoustic feedback. Prior to joining a live webinar or in-studio class, you can test your video and audio settings using our webinar tool. You will be prompted to test your settings before entering the live event. Click the audio tab to check your speaker settings and the video tab to check your video settings. We have provided a list of HD webcams, USB microphones/ speakerphones and free apps to enhance your experience. These recommendations are for informational purposes only, we don't don't receive any money from the sale of these products. The bandwidth will be optimized for the best experience based on the participants’ network. It will automatically adjust for 3G, WiFi or Wired environments. Minimum bandwidth is 1.5Mbps. To be sure that you have sufficient bandwidth, click here to test it now.